Thank you for making a Hunger Action Month donation! 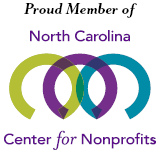 throughout our communities in central and eastern North Carolina. For every dollar donated, the Food Bank can distribute $10 worth of food or five meals. To make your secure credit card donation, fill out the form below.